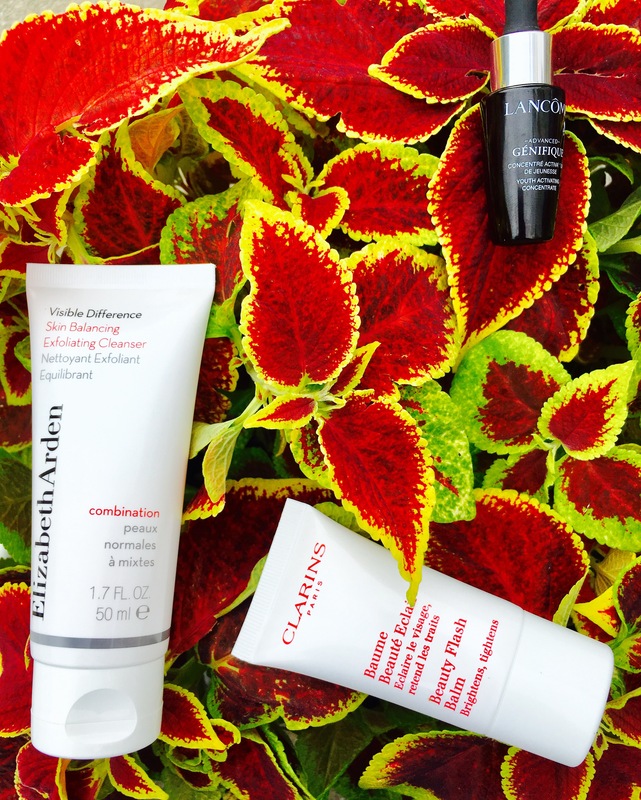 On The Go High End Beauty Products. Hey there beauties! so I picked up a few items that some I’ve used and others that are currently new to my skincare collection! these beauty products are the perfect “On The Go” for travels , just to put in your purse , or even a over night stay at your friends house! The Elizabeth Arden skin balancing exfoliating cleanser is a exfoliator that I actually have already used before in the past and I still love it! my mother is a big skincare person and she actually introduced to me this product (that I now love!) it leaves my skin feeling super tight like in a good way if that makes any sense. This is a product that is friendly to use for all seasons , but you don’t have to exfoliate everyday just when you feel you need a bit of a extra cleanse! Lancôme Youth activate concentrate is something that I have not used! I’ve been having stressful days lately and it really doesn’t matter the age you will definitely see it through out your body , so this oil is something that just makes you feel “youthful”. Clarins Beauty Flash Balm is so nice and the moisture after you put your makeup on , believe me when I say it feels amazing!!!!! no lie! it does smooth out your impurities which is great. and it wears really well with a light weight foundation , more like a sheercoverage. ESTĒE LAUDER Advanced Night Repair these are amazing. 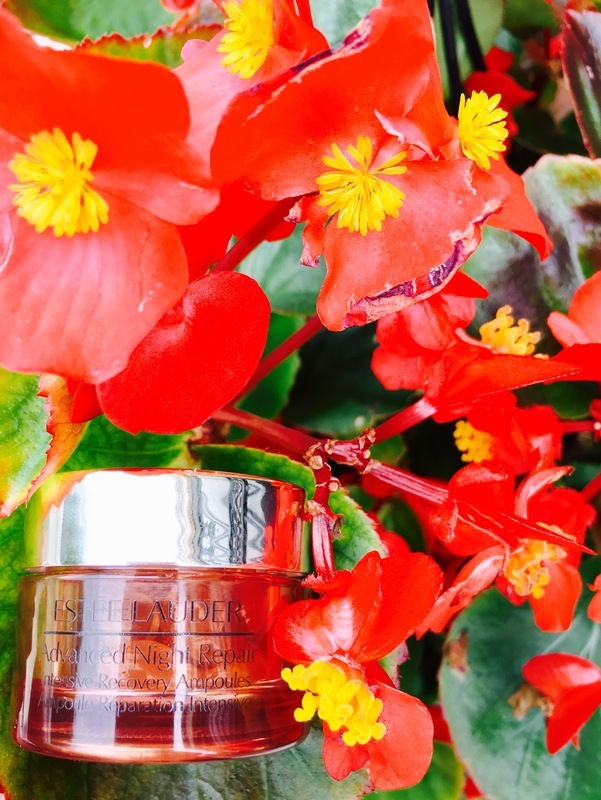 I always thought Estee Lauder was for the higher age group but I always wanted to get my hands on their products! And now that i work with skincare and cosmetics I’ve realized they are acutally diverse with age groups! This is just an oil you squeaze on to your face. You literally only need a couple of drops and you massage into the skin before bed , it just gives me a relaxed feeling. ESTĒE LAUDER perfectly clean cleaser is basically just a basic cleanser that is a foam / mask cleanser and its my favorite to use in the morning in the shower. 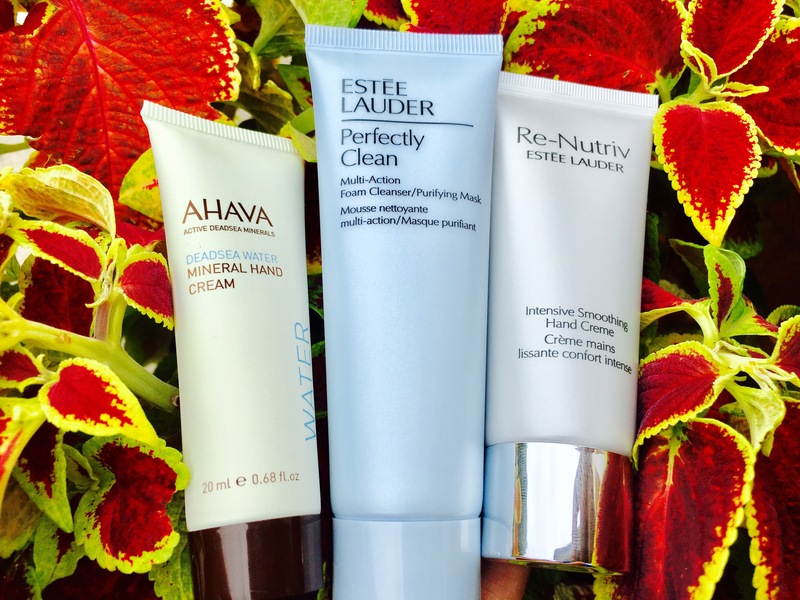 AHAVA / Re-Nutriv ESTĒE LAUDER , these are really good hand creams that I keep in my purse or even one in my Drawer at work! The AHAVA is a perfect hand lotion for dry hands , especially after washing your hands and they get a little dry this lotion helps best!